The Saginaw Spirit announced today that they have added a forward from USA Hockey’s National Team Development Program. Jake Goldowski is leaving Plymouth to join the Spirit for the rest of the 2017-18 season. The Pennsylvania native was a fourth-round pick of the Spirit in the 2016 OHL Priority Selection. He was also a verbal commit of Penn State. 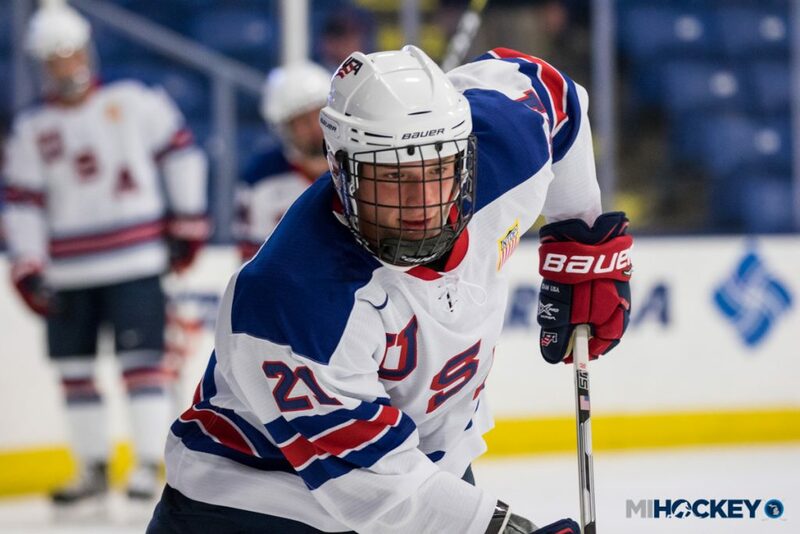 Goldowski was rated as a ‘C’ prospect on the latest NHL Draft ‘Players to Watch’ list from NHL Central Scouting.